(Mpr Consulting/Shuzzr PR) - Grammy Award producer and musican Jazzwad wants to publicly set the record straight, get his due credits and let it be known that he is the creator and producer of the hit single "Sidung". Dancehall artist Elephant Man featuring Lady Saw single "Sidung" has been heating up the airwaves and their official video produced by Terminal 4 Media has received over a hundred thousand views since it's last month released. A success that any producer would be proud of, but only if the right person receives the accolades. The "Energy God" was looking for a new single when he reached out to Jazzwad to produce and build a riddim for his "Sidung" lyrics. Ele himself wrote both his and Lady Saw's part of the song. Jazzwad created the riddim inside Q45 studios, where it was subsequently recorded. Once recorded the song was thereafter send out to various radio stations and DJ's, and this is where the issue took place. It is alleged that when Elephant Man and Q45's assistant send out an e-mail blast of the music, for some unknown reasons he attached both his own label "VeryHugeProductions" and Q45 to the song tag. jazzwad was unaware of the issue until the song hit airwaves and the charts. He promptly tried to correct the information, but it was too late, the song was out and it went viral. Even the video was produced with wrong information and credit accolades.The error was never acknowledged and corrected by neither parties. Jazzwad states. "This wouldve been the 1st that Q45 had a riddim from me "if" he was the "producer" of the track. He always used Steely & Clevie in the past and I've heard from many sources in the past that Q45 has said "mi nuh want no riddim from jazzwad" "him nuh ready yet". With him saying that I still never showed no bad face or create no bad vibes or a feud with him and would always hail him if I saw him back then and still do now. I confronted him on the matter to which he has pointed the finger to Chester of "Very Huge Records" the email blast guy saying Chester is the one who put wrong/false information in the emails when sending out the song"
Jazzwad has always prided himself in his work ethics and has never asked for more than he deserved, he wants to go on record and let it be know that it is HIS riddim and production, one that he is proud of, and just as someone writes a book, or paints a portrait, he wants his signature on the work. 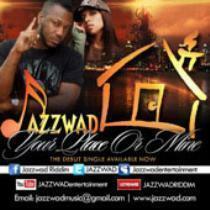 Jazzwad work stems decades in dancehall/reggae. He is responsible for Bounty Killer first single"Coppershot", "Book Book Book", "Miss Ivy Last Son", "Mama", Beenie Man's "Nuff Gyal Ina Bundle", "Gyal dem way", "Chalkboard". Garnett Silk's "Kingly Character", "Bless Me", "I Am Vex" just to name a few. Jazzwad is also one of if not the 1st producer to record Vybz Kartel which was a collaboration with Bounty Killer called "Gal Clown". One of the highlight of his career was receiving a Grammy for his productions on Damian Marley's 2006 Best Reggae Album "Welcome To Jamrock"which included "Hey Girl" with Stephen Marley and the song "Beautiful" which featured Bobby Brown.